Natural looking full gray coverage. Targets only the gray for a natural look. Fast and easy Shampoo-In formula for a natural gray-free look. Just For Men Original Formula hair color covers your grays completely, permanently and effectively. 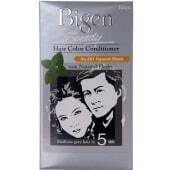 It targets only the gray hair and preserves subtle variations of your natural hair color. This easy to apply non-drip hair color only takes five minutes to color every single gray hair, and lasts until the gray grows back.